When I was younger, the only way to buy tomato plants was six to a pack. These plants had small roots and needed protection from wire worms, etc. I used to place each plant into a paper cup that had the bottom cut out. 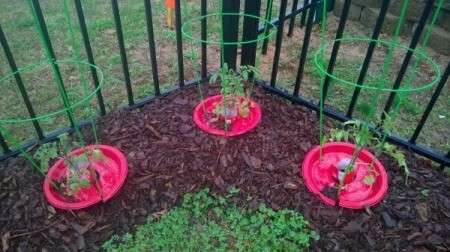 Then I had to make sure that the weather was warm enough to ensure that they grew well. 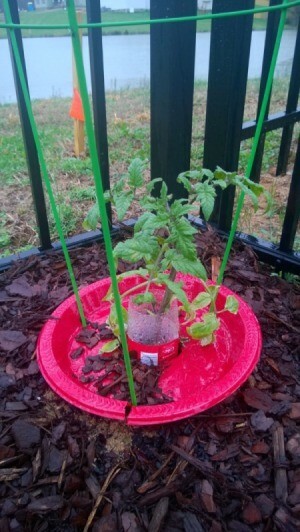 Now, I am buying tomato plants in 6 inch peat pots that will protect these plants from worms, etc. However, I wanted to be able to plant them earlier in the spring so I would get a good, early harvest. 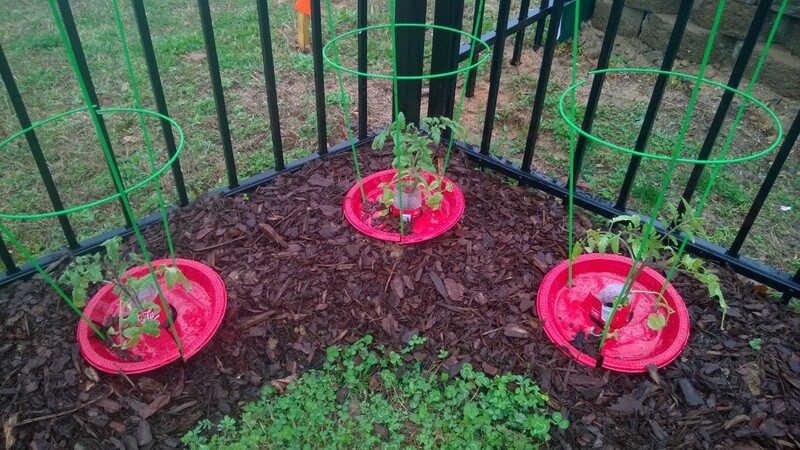 I now use the 9-3/4 inch red plastic disposable dinner plates, cut a round hole about 4 inches wide in the center with a slit cut to the edge of the plate to enable placing over the plant. Then I make 4 cross cuts around the circle for the round trellis to poke through into the dirt. 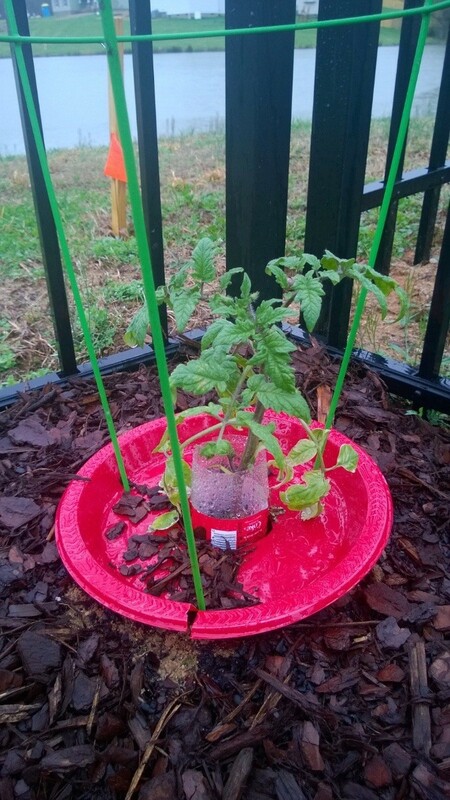 For stem support, I cut 4 inch sections from plastic Coke bottles and then make one slit down the side so they can be spread and put around the lower stem of each plant. 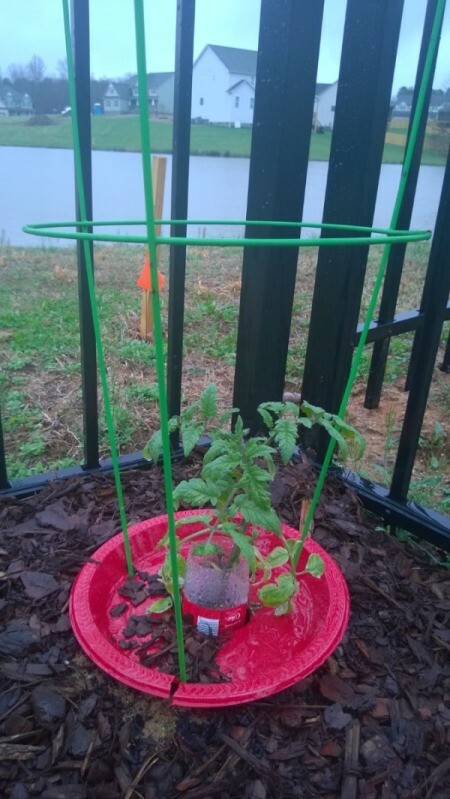 The rain water drains quickly down the several holes and slits in the plates, and the Coke bottle supports keep the wind from knocking the plants over. I have planted them one month earlier this year, and they are growing faster than in previous years. This is great! I am going to do that this year!